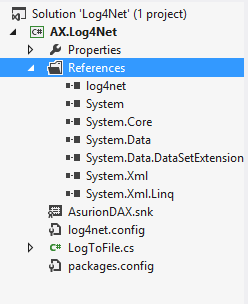 I was looking for logging Dynamics AX messages to files so that they can be further used by other monitoring applications to determine if the application is running as per expectations. This requires huge amount of file based logging to assure monitoring applications get sufficient details to draw different graphs explaining if the processes are taking normal time, if the data load is normal and other analysis. Given the fact that there were too many logs to be written, I opted for Log4Net as it is fast as well as highly configurable logging API. Below is the excerpt from Apache’s site for Log4Net which explains it better. 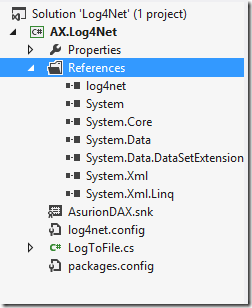 To integrate Log4Net with Dynamics AX 2009, below is what I did. 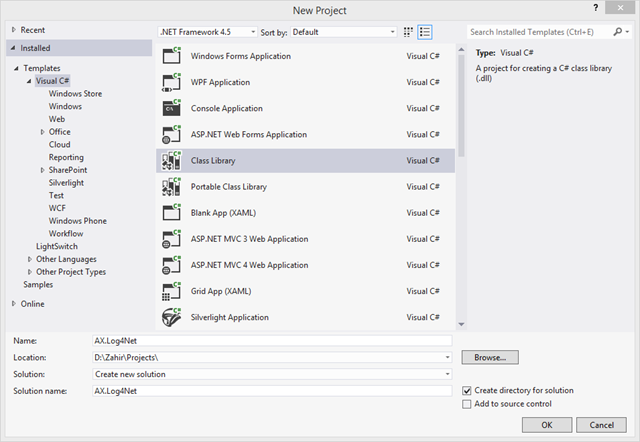 Set the Target Framework of your Project to .Net Framework 3.5, by right clicking the Project in Solution Explorer and clicking Properties. 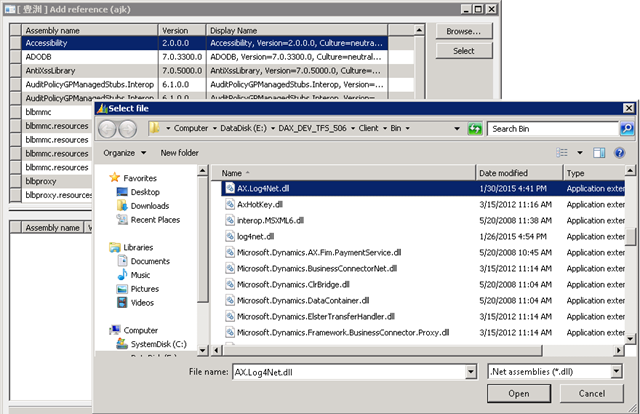 This is required for Dynamics AX to recognize the DLL when its reference is added. Next step is to add the Log4Net references. This can be done either by downloading the binaries from here and adding the reference or by using nuget Package. 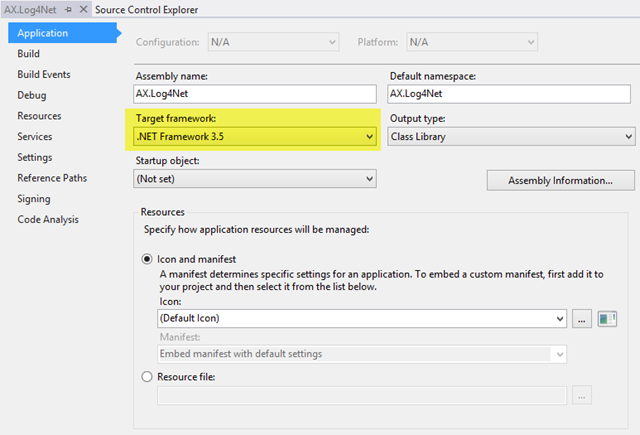 I preferred to install Log4Net using nuget package. 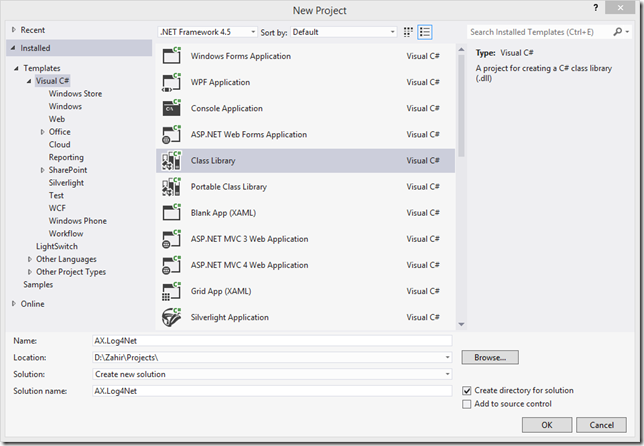 Open Package Manager Console and type Install-Package log4net and hit Enter. 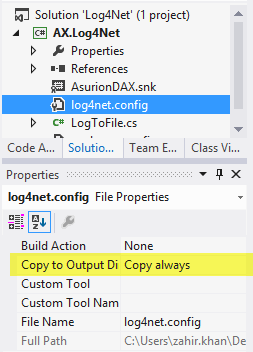 The next step is to add the log4net.config file which is the actual configuration about how things should get logged. I won’t go into the details about what the configurations are as all this information is available in the link shared at the top of this article. 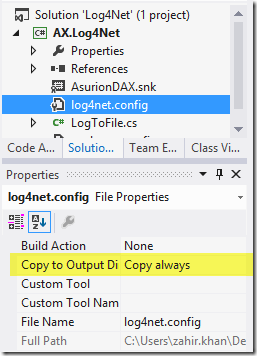 Set the Copy to Output Directory property of log4net.config file to “Copy always”. This is required to make sure the file gets copied in the bin folder when you compile the application. Add a new Class file to your project, LogToFile.cs in my case and add the below code. This is the class which will be used to perform the actual logging operations from Dynamics AX. Below is the complete class code. Depending on whether the process which needs to create the logs runs on client or server side, the above files need to be copied to Dynamics AX Client’s or Server’s bin folder. 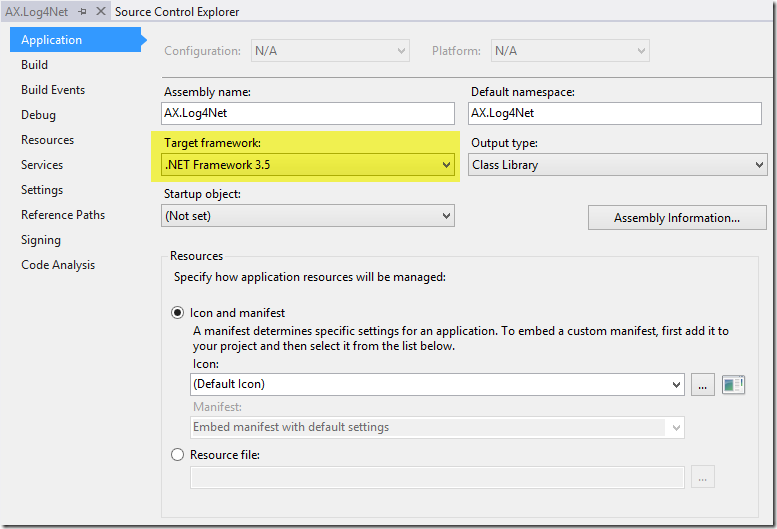 We will test the integration using a Dynamics AX Job, so lets go ahead and create a test job to check how this works. Note that you may require to restart AOS service after this change. 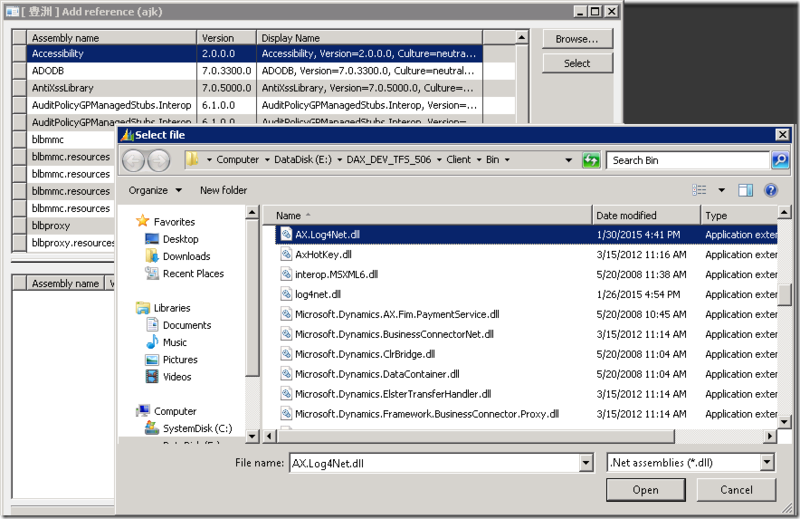 Log4Net is a very powerful utility for any type of logging and making our life easier. Do comment with your questions or recommendations.